Koestler not quite indispensable but compellingly interesting (and topical)! 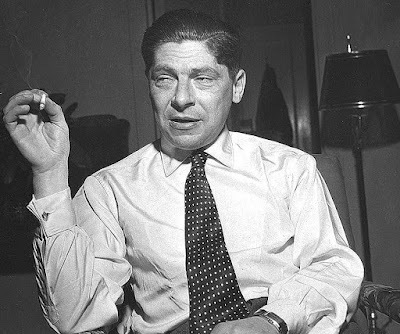 Amongst many of the dilemmas that face a would be biographer of Arthur Koestler is the realisation that externally the first half of his life is much the most colourful, action packed and celebrated. Here the journalist of genius, and novelist, was forged amongst the calamitous events of the mid-twentieth century and here was a man who had a knack of being exactly in the right place and the right time. It was a rollercoaster ride of reinvention from Zionist to Communist to anti-Communist scourge. In the course of which he had been imprisoned three times by three different states, faced death at the hand of Franco and from his own hand as he flees the advancing Germans. Here he watched his own reputation soar with the publication of his masterpiece, the novel, 'Darkness at Noon', laying bare the psychology and culture of totalitarianism. Here he awaits eagerly, given his expansive egotism, for his well deserved Nobel Prize (that incidentally never came)! A politician attempts to give a speech but is distracted on realising that his audience are either asleep or are the 'living dead'. A schoolteacher is convinced he has seen the last man alive from the future and a harbinger of apocalypse. A troubled married couple slip in time to meet their anima and animus and it is an encounter that initiates the potential healing of their marriage.